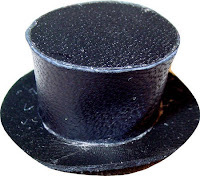 This blog, if you care to take a sampling of past posts, is not that of a white-hat-mediator. That's because I believe life at the coalface of mediation practice is wonderfully confused, frustrating and often dirty, as I attempted to capture by one of my favourite past posts, rehearsing in poetry, but practising in prose. At-the-table compromises are constantly being made by jobbing mediators, compromising on the tidy academic theories of process, ethics and skills that are pronounced in the rarefied atmosphere of our great centres of learning. But, there's change in the air - lines are being crossed like never before - I hear it whispered over cups at conferences, I feel it in the room, I see it in myself. Damn - even Cohen was singing about it the other night - "it's coming to America first, the cradle of the best and of the worst. It's here they got the range and the machinery for change..."